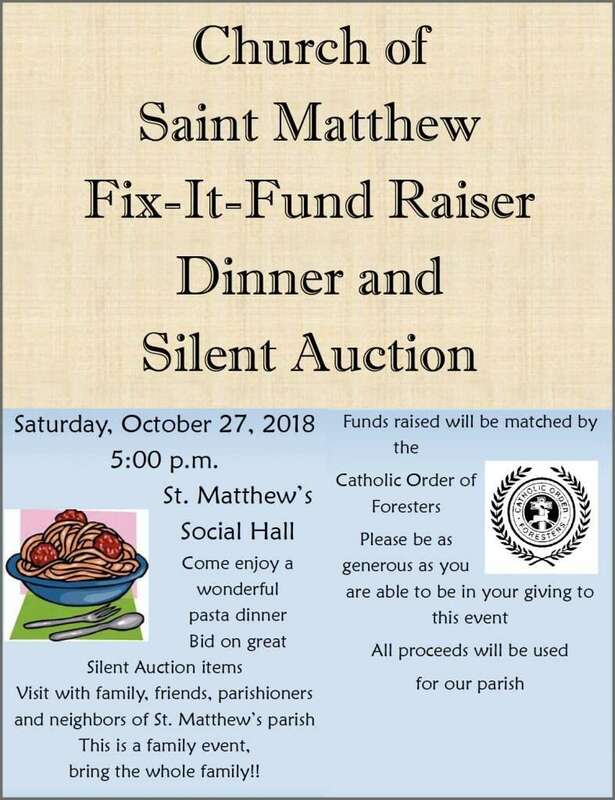 Saturday, October 27, 2018 5:00 p.m. St. Matthew’s Social Hall. Come enjoy a wonderful pasta dinner. Bid on great Silent Auction items. Visit with family, friends, parishioners and neighbors of St. Matthew’s Parish. This is a family event – bring the whole family! Funds raised will be matched by the Catholic Order of Foresters. Please be as generous as you are able to be in your giving to this event. All proceeds will be used for our parish.